Fits Canon, Nikon, Sony, or Olympus digital SLRs (specify at time of order). which you may later unmirror using standard software post-processing. 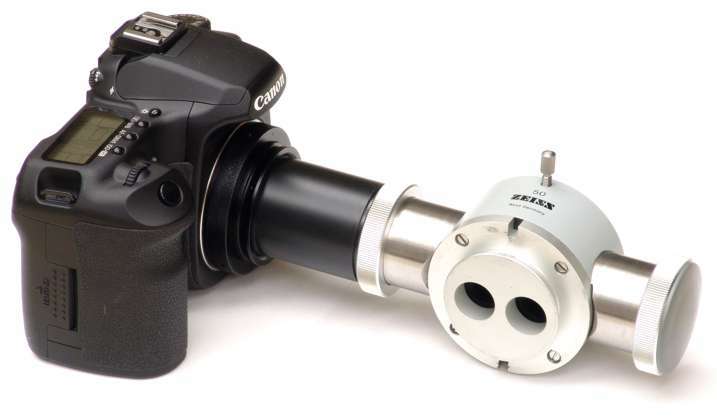 See	photo 1 (adapter is the black center item between the Canon camera and Zeiss beamsplitter), photo 2, photo 3 (JPEG photos). 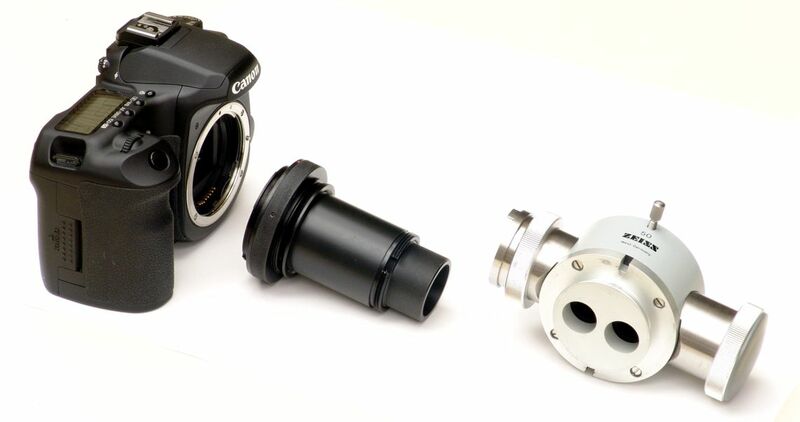 Adapter kit does not include camera, beamsplitter, or other instrumentation. 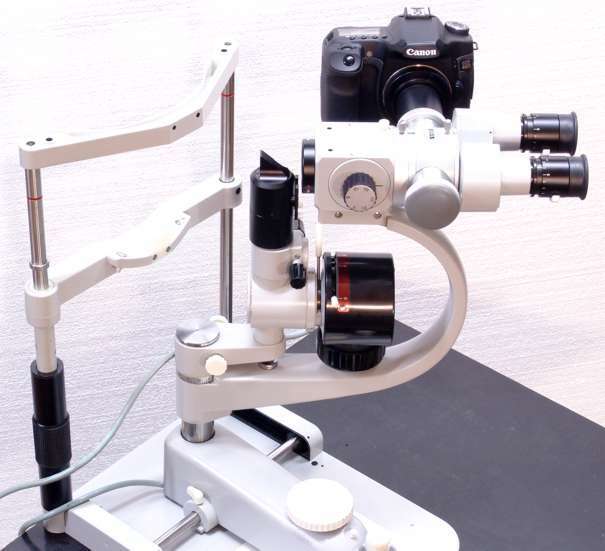 See also the instructions for using the adapter on a Zeiss slit lamp. 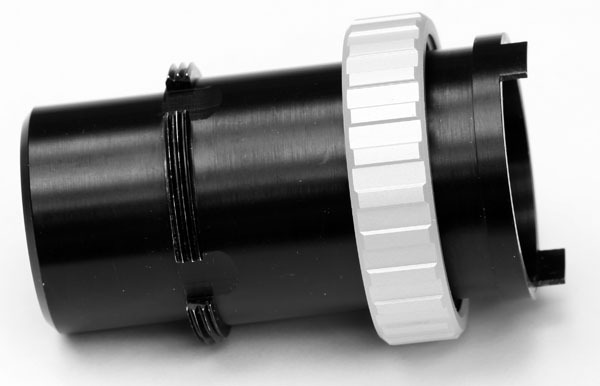 See also the instruction sheet for our SLR focal adapters.